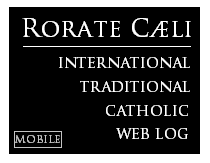 Rorate interviews Professor Roberto de Mattei regarding Bishop Athanasius Schneider’s analysis on the subject of a heretic Pope. 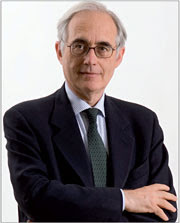 - Professor de Mattei, would you care to give us your opinion on the study His Excellency Monsignor Schneider made on a “heretic Pope”? - I consider it an important document. Firstly, Monsignor Schneider is one of the most esteemed among contemporary bishops for his patristic culture and personal piety. Secondly, the subject is of very great interest and Monsignor Schneider had the courage to address it openly, unambiguously and uncompromisingly. - Regarding this document, what points do you most agree with? - First of all, I agree completely with Monsignor Schneider when he admits the possibility that a Pope can “promote doctrinal errors or heresies”, even if never ex cathedra. The hypothesis of a heretic pope is not only sustained by almost all theologians and canonists, but it is also a historical fact which occurred for example, with Pope Honorius, and which can tragically be repeated. Another point that Monsignor Schneider clarifies well, in the light of Church teaching, is the stance that is to be taken when faced with a heretical Pope. "In dealing with the tragic case of a heretical pope, all the members of the Church, beginning with the bishops, down to the simple faithful, have to use all legitimate means, such as private and public corrections of the erring pope, constant and ardent prayers and public professions of the truth in order that the Apostolic See may again profess with clarity the Divine truths, that the Lord entrusted to Peter and to all his successors." It is not enough to pray in silence, as if nothing has happened. We need to resist and react. And the best way is that of fraternal correction, which is chiefly up to the bishops and cardinals, but which also ordinary lay-people can extend to the Pontiff, as happened with the Correctio filialis. I quote: "In this issue the numerical factor is not decisive. It is sufficient to have even a couple of bishops proclaiming the integrity of Faith and correcting thereby the errors of a heretical pope. It is sufficient that bishops instruct and protect their flock from the errors of a heretical pope and their priests and the parents of Catholic families will do the same.” I agree completely with Monsignor Schneider when he states that: “even if a pope is spreading theological errors and heresies, the Faith of the Church as a whole will remain intact because of the promise of Christ concerning the special assistance and permanent presence of the Holy Spirit, the Spirit of the truth, in His Church (cf. John 14: 17; 1 John 2: 27)". - Is there any point of Monsignor Schneider’s analysis that you don’t agree with? - I’m somewhat puzzled by his statement: “A pope cannot be deposed in whatsoever form and for whatever reason, not even for the reason of heresy.” Monsignor Schneider denies the possibility of the loss of the papacy, while admitting this thesis has been voiced by great canonists and theologians, like Cardinal Cajetan and St. Robert Bellarmine, in favour of it. The position that seems to me the most convincing is that of the Brazilian theologian, Arnaldo Xavier da Silveira, -who died recently - which he sums up in chapter VII of his book Can a Pope be…a heretic? The Theological Hypothesis of a Heretical Pope, (Caminhos Romanos, 2018). Arnaldo da Silveira retains that there is a profound incompatibility between heresy and ecclesiastical jurisdiction. However loss of office is not automatic. Since as a visible society the Church’s official acts must also be visible, the heretical Pope continues in office until the full outward manifestation of his heresy. St. Robert Bellarmine teaches that the heretical Pope loses the papacy when his heresy becomes manifest. This is to be understood as a full manifestation, that is, one that imposes itself to acceptance by the sana pars of Catholics. If a part of Catholics considers the manifestation doubtful or insufficient, it is either because the latter is not full or the former are not the true sana pars. A clash will then become inevitable, and everything depending on the sensus fidei of Catholics and on the movements of grace. For as long as he is tolerated and accepted by the universal Church, the heretic will be true Pope, and in principle, his acts are valid. 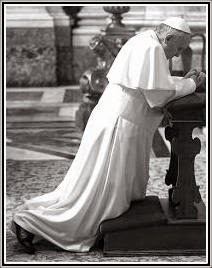 The loss of the Pontificate, therefore, will not result from a deposition by anyone but from an act of the Pope himself, who, by becoming a formal and notorious heretic will have excluded himself from the visible Church, thus tacitly resigning the Pontificate. - What then is your final consideration? - While not agreeing with the thesis that a heretic pope never loses the papacy, I think that Monsignor Schneider’s position is somewhat acceptable at the present time, in order to avoid that crypto-sedevacantism some traditionalists tend towards. On this point my position coincides with that of Monsignor Schneider, not on the theoretical level but on the practical level. I think that the errors or heresies of Pope Francis, even if professed publically, do not entail his loss of the papacy, since they are not known and manifest to the Catholic population. When I speak of the Catholic population, I’m not referring to the Catholic public opinion in the widest sense of the term, but to that restricted group of baptized who are today maintaining the Catholic faith in its integrity. Many of them still interpret pro bono the words and actions of Pope Francis and do not perceive any malice. We cannot say then that his loss of faith is evident and manifest. In my view, the promotion and spreading of heresy by Pope Francis is public, but not notorious in the canonical sense of the term. For this reason we must acknowledge him as Supreme Head of the Catholic Church. His deposition is for me, unfeasible, not in thesis, but at this concrete, historical point in time. Everything though may change from one day to the next. In this sense, I too, like Monsignor Schneider, rely on Divine Providence, but without excluding future scenarios, like that of a heretic Pope possibly losing the papacy.